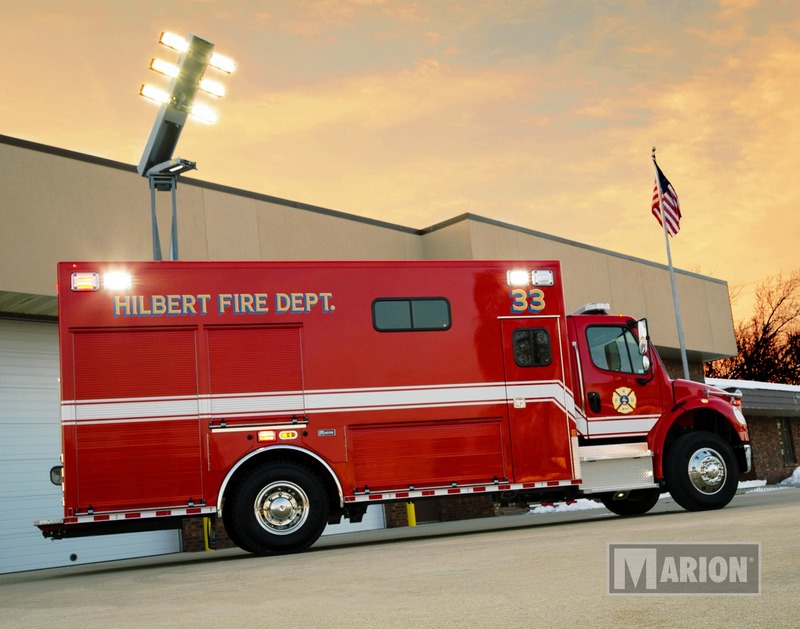 Let's build the truck of your department's dreams. 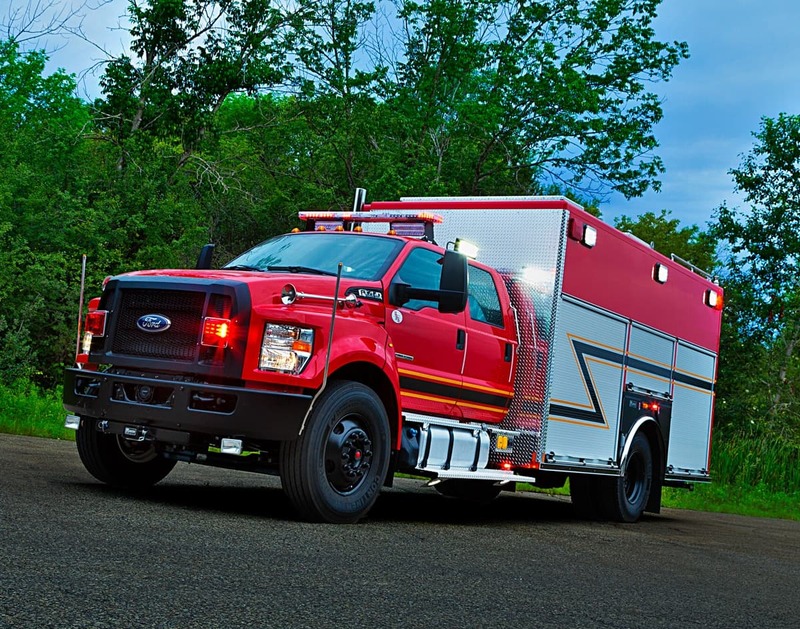 No two calls are the same (and no two departments), so we customize combination rescues to be durable, flexible and agile so your department’s efficiency is optimized. 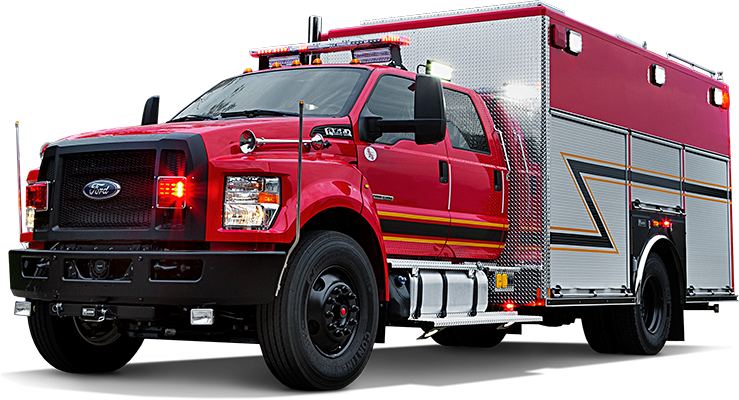 From walk-in areas used by personnel to non-walk-in areas securely carrying equipment, our combo rescues are always rugged and efficient. Every detail of a Marion counts, because in your line of work, every second counts. Reliable construction—All-aluminum means lighter weight, greater payload capacity and unmatched rust resistance. Superior storage—A key to a great Rescue is its storage abilities, including on the roof. Smart roof tops—A recessed walkway, with an extension, allows for safe egress up and down; plus, a welded treadplate roof with 100% welded seams makes the roof strong and weather-tight. Convenient reels—Reels are located above the door openings, out of the way, or in rooftop compartments; and all roller guides are included as standard with all reels. Drive assured on a solid foundation by choosing the chassis to form the base of your Marion with a custom (Spartan) or commercial (International, Freightliner, Ford, Kenworth or Peterbilt) chassis. 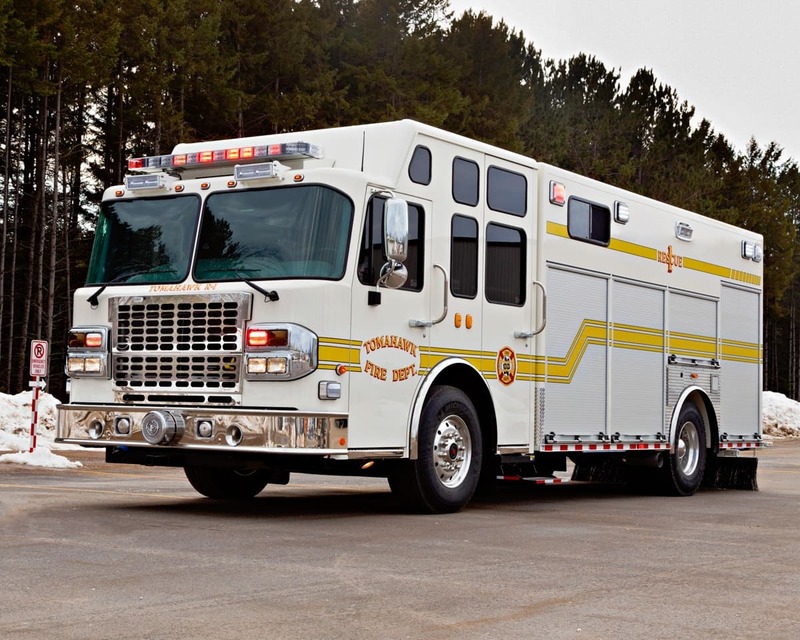 Gain access to your truck how you want with extruded flush-mounted or roll-up doors; single side entry. Hassle-free electrical you trust with multiplex wiring as standard for easy troubleshooting; "as built” wiring diagrams created specifically for your apparatus; “soft touch” backlit switching is standard; wiring raceway along ceiling protects and allows easy service access. Easily move through your truck interior—cab-to-body walkthrough; interior headroom 69"-78"; custom equipment mounting; multiple command center options.